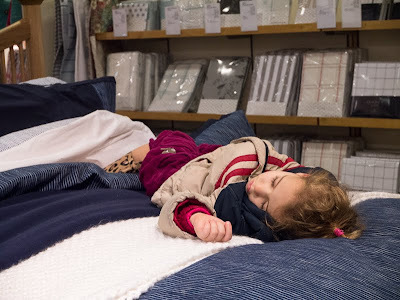 Xmas Shopping was just too much for this wee lassie. Luckily they made it to the bedding department at John Lewis Department Store. Many times, I've been tempted to do that myself. Ah, how cute, she looks like Sleeping Beauty. Shhhhhh. That is a very sweet photo, Mo.